When I need a pick me up I watch either of these videos.....they make me laugh out loud EVERY SINGLE TIME. It never gets old. ps Stay tuned for birthday pics! When I put the list of 30 goals together I thought the best way to celebrate my 30h birthday would be to go to Geneva, Switzerland - my birthplace. Well.....life happened and with work and school demands being in Switzerland on my actual brithday became less of a reality each day. I had a conference for work two days before my birthday and a final the day after. I was kind of bummed and had mentioned it to one of my co-workers in passing. 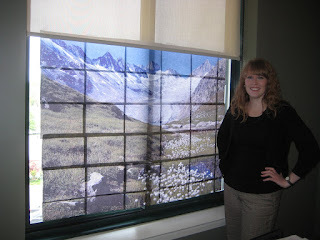 When I got to work on Monday my office had been transformed into Switzerland! 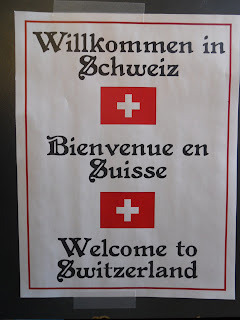 Complete with the Alps in the background, swiss chocolate truffles on my desk and garland of the Swiss flag. I was so surprised and may have teared up a little. I am grateful for such great friends! And they also hid 30 cans of Diet Coke throughout the office. 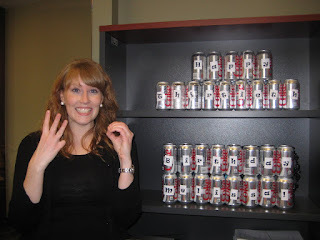 By the time I finished my little scavenger hunt I had a message spelled by a letter on each can. 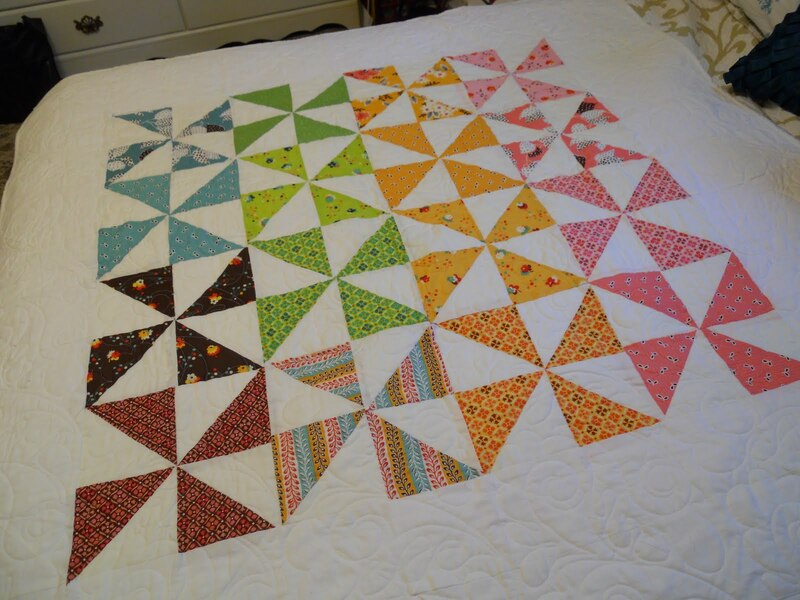 After years of working on this quilting project it is finally finished! And it looks beautiful! Back in 2007 I did a quilt block exchange with some other women in my stake. Most of us were beginners when it came to quilting so this was a fun project to do together. We chose a line of fabric and then using a pattern we chose each woman made 16 of the same block. After exchanging them it was fun to think about putting them in to a design for a quilt. Well fast forward a couple of years and what do you know....my blocks are still sitting in a pile of projects waiting to get finished. (shocker) That's when I decided to add this abandoned project to my 30 before 30 goals. I laid out the blocks and went through a couple different designs before I settled on one. I sewed them all together and had the top finished. The next step was to get the backing done and have it quilted. But had to put it on the back burner for a little bit while I focused on work and school. In the mean time, and without my knowledge, Sarah took the quilt top from my house and mailed it to my mom. In Modesto my parents had it finished by a family friend who has a quilting business. Then my birthday rolled around and I opened a package from my parents. 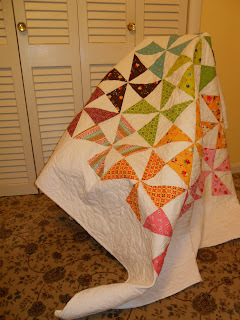 When I saw the finished quilt in the box I was so confused and then I realized what had happened. It was such a great surprise! I love the stitch they chose for the quilting and it is the perfect size to snuggle up in and watch a movie! For my first attempt at a quilt I am very pleased and now I can check it off the list!